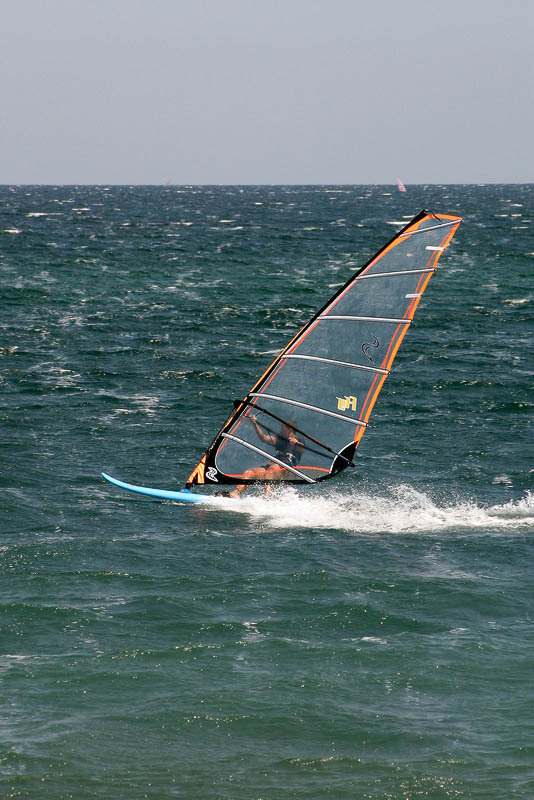 Summer scenery of windsurfer in ocean. Seaside tourism, rest and vacation. Holiday-maker sporting windsurf.